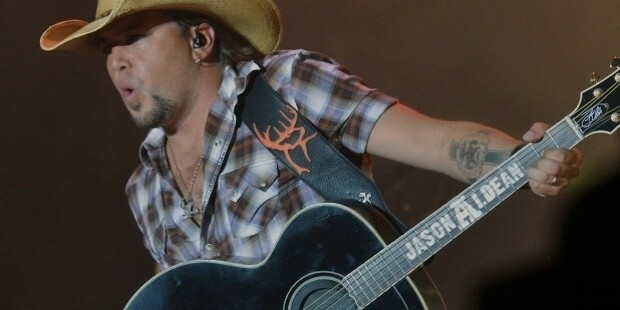 Jason Aldean is an American based country music singer, who has received ACM Male Vocalist of the Year award two times. The ‘burnin’ it down’ number from his latest album ‘Old Boots’ received a Platinum certificate within 9 weeks, thus becoming the fastest selling number of the year. The singer sold more than 10 million albums so far, and has appeared in number 1 Country Radio charts for 13 times. RIAA identified Aldean as the Top Digital Male Country Artist of History, with more than 21 million downloads. 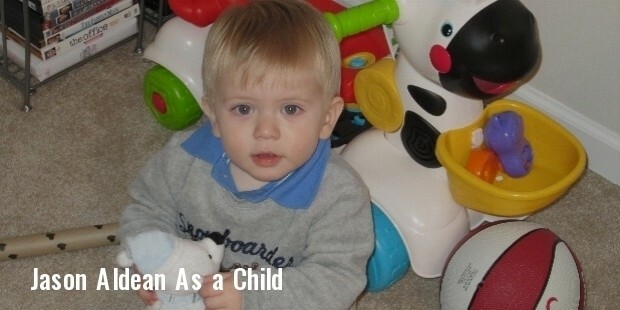 Aldean was born in Georgia, but his parents, Debbie and Barry, divorced when he was just 3 years old. He was raised by his mother in Macon, but also spent some time in Florida with his father. 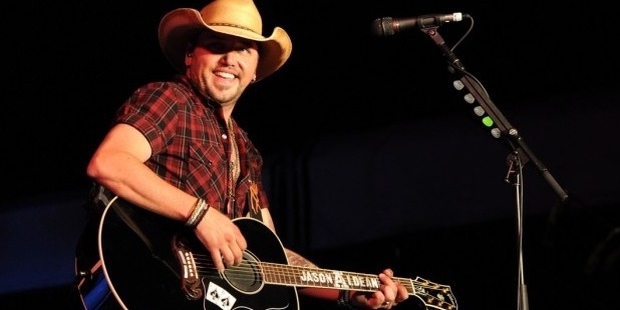 During his short stays with his father, Aldean used to learn playing guitar. Identifying their son’s musical capabilities, both his mother and father encouraged him to progress in the field. Jason started performing on stage at the age of 14. Gradually, he started giving performances at local fairs, small events and talent contests. He joined the ‘House Band’ of Georgia at 15. The song publishing company, Warner Chappell, approached him, and Jason signed with them when he was just 21. Aldean did not record any album for the next 3 years, but the Broken Bow Records from Nashville offered him a deal in 2004 that came to him as a golden chance. He was named the Top New Male Vocalist at the Academy of Country Music Awards in 2006. His album Relentless debuted at #4 on the Billboard Hit 200. In 2009, he received 3 nominations at the CMT Music Awards. His success comprises of a number of top charting albums and numbers, including ‘Don’t You Wanna Say’, ‘My Kinda Party’, ‘Wide Open’, etc. 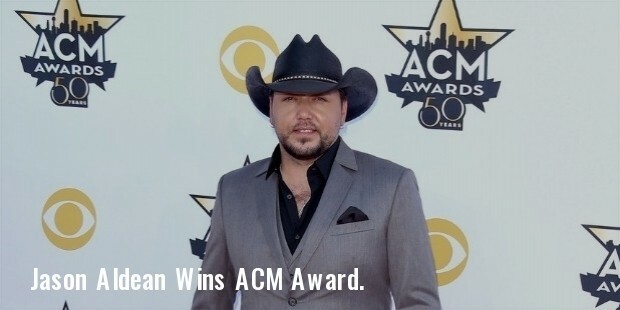 Latest awards of Jason Aldean include ACM Awards for Top Country Artist in 2015, and Male Vocalist of the Year in 2014 and 15. He has also been the winner of the American Country Countdown Awards for Artist of the Year in 2014, CMT Music Awards for Collaborative Video of the Year - "The Only Way I Know" in 2013, and American Country Awards for Touring Artist of the Year in 2012. Jessica Ussery was his sweetheart from the high school, whom Aldean married in 2001, and filed for divorce in 2013. They have two daughters, Keeley and Kendyl. 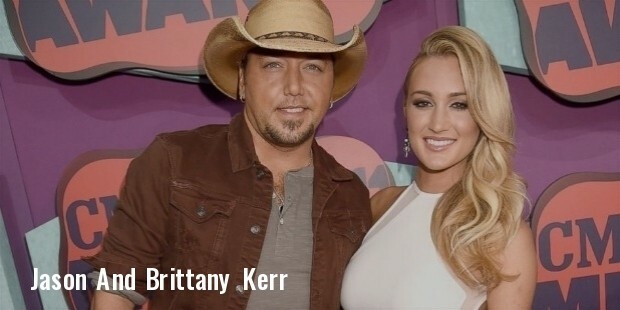 Jason started dating Brittany Kerr in 2014, and married her in March 2015. He owns 1300 acres of land in Tennessee, and also a hunting company, named as Buck Commander. 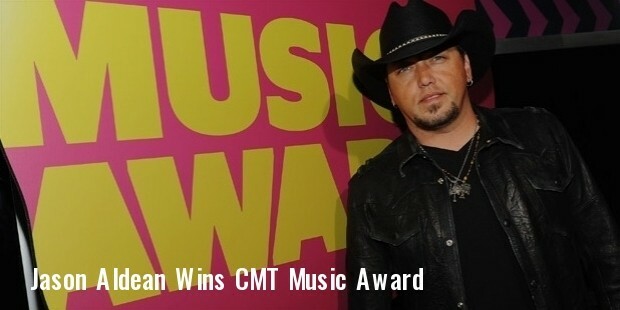 Jason Aldean has made significant contributions towards America’s country music, and is continuing to do so. We look forward to numerous fantastic numbers that are still to come from his pool of talent. Jason Aldean - "Night Train"